Map of Marye's Heights and the Sunken Road. 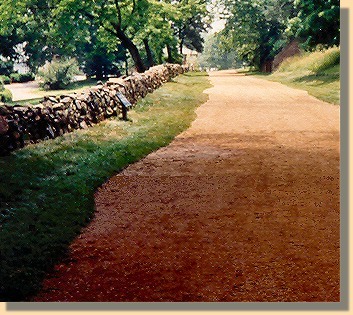 The Confederates used the stone wall along the sunken road below Marye's Heights to repeatedly drive back Union attacks in December, 1862. 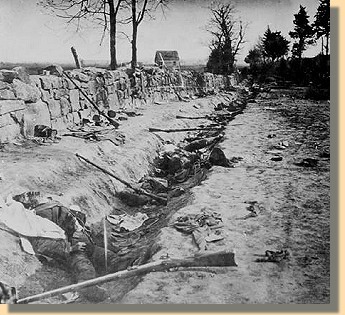 The photograph on the left, showing dead Confederate soldiers, was taken after the Union overran a weaker Confederate force holding the position while the majority of Lee's forces were at Chancellorsville in 1863. 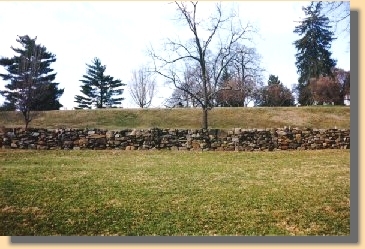 The 2005 photograph shows the reconstructed portion of the wall. 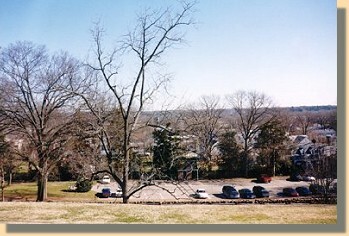 In the 1998 photograph (on the right), the National Park Service Visitors Center Parking Lot is located below the Stone Wall in the foreground. 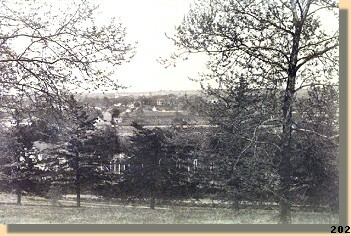 (Note the Stone Wall/Sunken Road at the bottom of Marye's Heights in the foreground of each photograph).